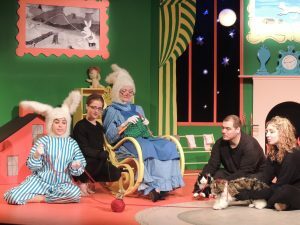 It&apos;s going to be a great weekend in the Huntington/Five Harbors Area & Beyond with plenty to see and do including shows at the Vanderbilt of the Arena Players production of Jacob Marley&apos;s Christmas Carol and opening weekend of Mary Poppins at the John Engeman Theater. Stop by Northport & Huntington for the last weekend of the outdoor farmers markets. Check out our blog about Holiday fairs in the Huntington/Five Harbors Area for places to visit and shop for gifts and home decor. Keep the photos coming! LOVE The Huntington/Five Harbors Area? Take advantage of this beautiful season 🍂 and let&apos;s see what you got 📸 #LTLHFallFiveHarbors : You could win a $50 gift card to a Huntington Township restaurant of your choice and also have photo displayed in our office. : No reposting or commenting necessary, simply... 1️⃣Follow @luckytolivehere_realty on Instagram. 2️⃣Like this post 3️⃣Post a photo taken in the Huntington Township which includes areas surrounding Five Harbors (Cold Spring Harbor, Lloyd Harbor, Huntington, Centerport, Northport) (no limit on entries) on your Instagram feed using the hashtag #LTLHFallFiveHarbors. : Contest ends 11/30/16 11:59PM. Winner will be announced on December 1st on our Instagram & Facebook. : Per Instagram Rules we must mention this is in no way sponsored, administered, or associated with Instagram, Inc. Entrants release Instagram of responsibility and agree to Instagram’s term of use.